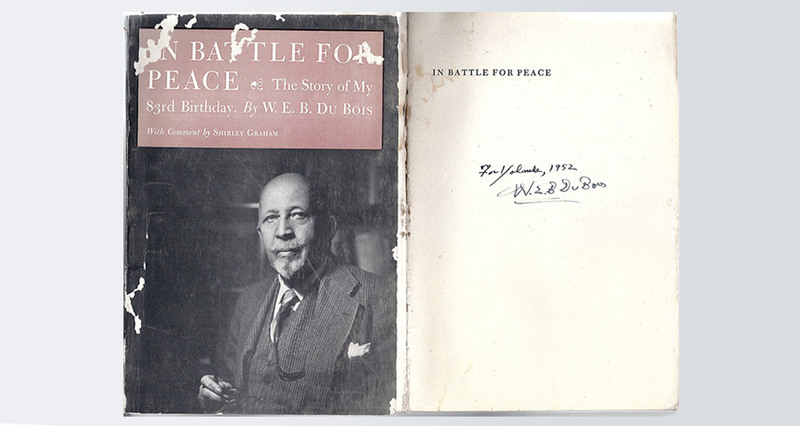 Also featuring Du Bois’s In Battle For Peace (New York: Masses & Mainstream, 1952). 8vo., pictorial wrappers. First edition. A presentation copy, inscribed: “W. E. B. 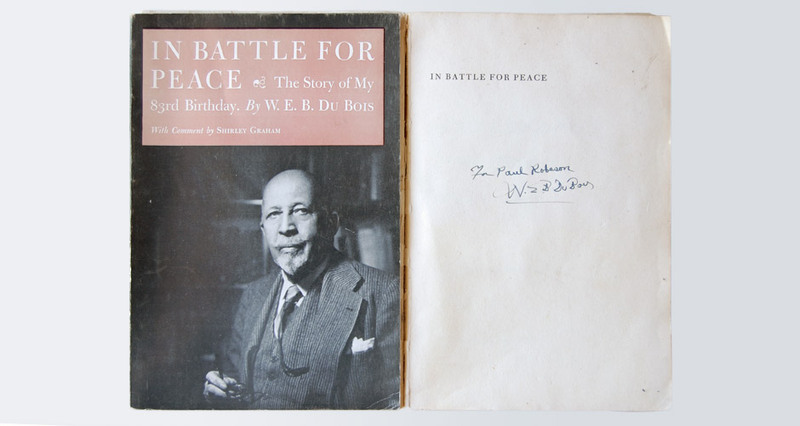 Du Bois / Paul Robeson.” A remarkable association copy, linking two of the great civil rights activists of the Twentieth Century.